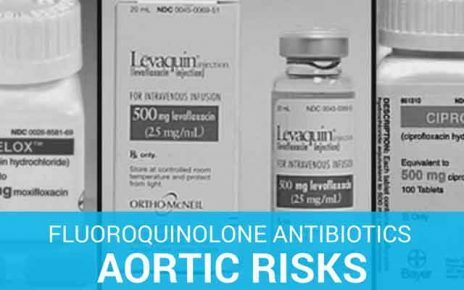 Popular antibiotics including Levaquin, Cipro, Avelox, and Factive are tied to life altering complications including: Aortic Aneurysm, Aortic Dissection, Valvulopathy, Peripheral Neuropathy and others. Antibiotics are a class of drugs that can effectively stop dangerous bacterial infections in their tracks by eliminating the growth of bacteria or killing it all together. However, the FDA is now warning that in the case of fluoroquinolones (FQs) antibiotics, these drugs may carry unwanted and serious side effects that were not previously warned about. In November 2015, an FDA committee advisory meeting heard the testimonies of more than 30 members of the public regarding the life-altering injuries they have lived with and they believe were linked to their FQ treatment. Although the FDA advisory panel overwhelmingly agreed that there needed to be changes made to the FQ labels and recommended as much to the FDA, it took until May 2016 for the FDA to take action on warning the public about the dangers of fluoroquinolones antibiotic use. According to the FDA Safety Communication systematic use of fluoroquinolones (such as Cipro, Levaquin, Avelox, Floxin and Factive) is associated with disabling and potentially permanent serious side effects that can occur together. These side effects can involve the tendons, muscles, joints, nerves and central nervous system. While the FDA Advisory recommended the use of the term “fluoroquinolones associated disability” (or FQAD) to describe the potentially permanent serious side effects that can occur together, the FDA stopped short of naming this disability. serious side effects associated with these popular antibacterial drugs outweigh the benefits for patients with sinusitis, bronchitis, and uncomplicated urinary tract infections who have other treatment options. Problems After Taking Levaquin, Cipro, Avelox or Factive? 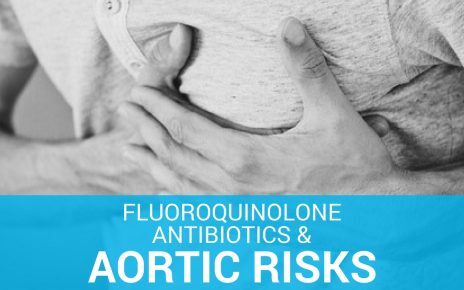 Fluoroquinolones (FQs) have been used for over 20 years and critics note that they are overprescribed. According to the CDC, FQs are the fourth-most prescribed antibiotic nationwide – prescribed to 33 million Americans in 2013 alone. In the past few years, advocates have worked hard to get word out about the serious side effects from FQ toxicity. These individuals, many of whom are currently suffering from these life-altering side effects, refer to these collective injuries as “floxing” and “antibiotic toxicity.” They have set up Facebook pages and website in an effort to get word out through social media. The FDA warning and label change will be helpful in these efforts to get word out to the public but also to get word to health care professionals who often come up with no specific diagnosis for the constellation of symptoms from these antibiotics. An aortic aneurysm is a lump in the aorta which is the body’s main artery. The aorta carries oxygen-rich blood out from the heart to the other areas of the body. The bulging section with the aneurysm is overstretched and weak which can lead it to burst. A burst in the aorta can cause serious bleeding which may quickly lead to death. Aortic dissection is a tear in the inner layer of the aorta. The aorta is the main blood vessel branching off of the heart which carries oxygen-rich blood throughout the body. When dissection occurs, blood surges through the tear causing the inner layers of the aorta to break apart (dissect). If this rupture penetrates the outer wall of the aorta, the outcome of aortic dissection is often fatal. Symptoms affecting the tendons, muscles, joints, nerves and/or central nervous system. See the complete list on our Fluoroquinolone Lawsuit Qualification Form. Peripheral neuropathy is the outcome of damage to peripheral nerves. Side effects are often weakness, pain, and numbness usually in your hands and feet but may also affect other areas. Many people diagnosed with peripheral neuropathy will describe the pain as stabbing, tingling, or burning. Peripheral neuropathy can result from toxins and is currently being linked to fluoroquinolone antibiotics. Cardiac Valvulopathy is a condition in which the heart valve becomes inflamed and stiff. A heart valve must remain closed during a period in the blood flow cycle. When the blood is not retained adequately in the valve during this cycle, the blood can be returned to the previous chamber in the heart. This “valvulopathy” causes damage in the heart which for many now being linked to the use of fluoroquinolone antibiotics. Lawsuits on behalf of individuals living with these serious injuries are being filed against the manufacturers of Levaquin, Cipro, Avelox, Factive and Floxin alleging that these drugs put individuals at risk of injury. According to these antibiotic lawsuits, the manufacturers did not properly warn of the risk of these popular antibiotics. 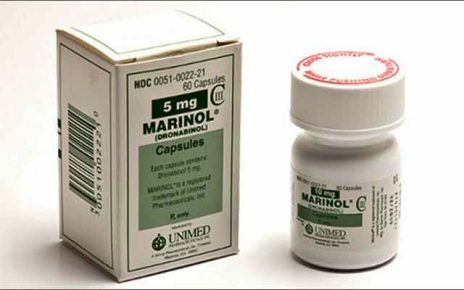 Furthermore, many of the individuals injured by Cipro, Levaquin or one of the other fluoroquinolones was prescribed the drug for the treatment of illnesses that were likely to be resolved on its own such as a urinary tract infection, sinusitis, bronchitis or other illnesses. How Do I Pick an Antibiotic Lawyer? How Can an Antibiotic Lawsuit Help? Has There Been an Antibiotic Lawsuit Settlement? Is there an Antibiotic Class Action? Why is there an Antibiotic Lawsuit? TruLaw is pursuing Antibiotic lawsuits against the manufacturers of Levaquin, Cipro, Avelox, and Factive because we believe consumers were not properly warned of the risks of injury. Have you seen an Antibiotic Lawsuit Commercial? Did a recent Antibiotic Lawsuit commercial grab your attention? Did you find our site because you were wondering if you qualify for the Levaquin, Cipro, Avelox or Factive lawsuits? We built the Antibiotic Instant Case Evaluator as a no cost/no obligation place for you to find answers about your legal rights. If you found us today, you are looking for instant answers to whether you should file an Antibiotic lawsuit and we want to help you. We believe that in order for you to make important decisions about your health and your legal rights, you need to start with information. We provide you this valuable information so you are prepared to talk to a lawyer. Should you file an Antibiotic Lawsuit to protect your legal rights? If you answered yes to these two questions you should look into your legal rights.Fill out our Secure Antibiotic Instant Case Evaluation if you believe you may need to protect your legal rights. View Your Fluoroquinolone Antibiotic Case Analysis Now! When did you last take antibiotics prior to this diagnosis? Did the symptoms selected last more than 30 days after discontinuing antibiotic use? View your instant case analysis report upon submission of this form! Could Synthetic Cannabinoids Help The Symptoms of Floxing?